Pearce is the CEO of AIMS Group of Companies and has over 15 years of experience in immigration consultancy and wealth management. Pearce spearheaded the rapid growth of AIMS Group, expanding from a singular office in Singapore to 12 additional overseas offices in the Asia region within 2 years. He grew the company manpower from 20 to over 300 employees, all while sustaining consistent yearly revenue growth. Pearce plans to maintain the growth of AIMS Group, with another 10 new overseas offices in the pipeline. In recognition of his capabilities, Pearce was awarded the prestigious Top 100 Global Migration Agency CEOs in Los Angeles. Before founding AIMS Group, Pearce was a banker in DBS Bank with a portfolio of high net worth clients from the ASEAN region. 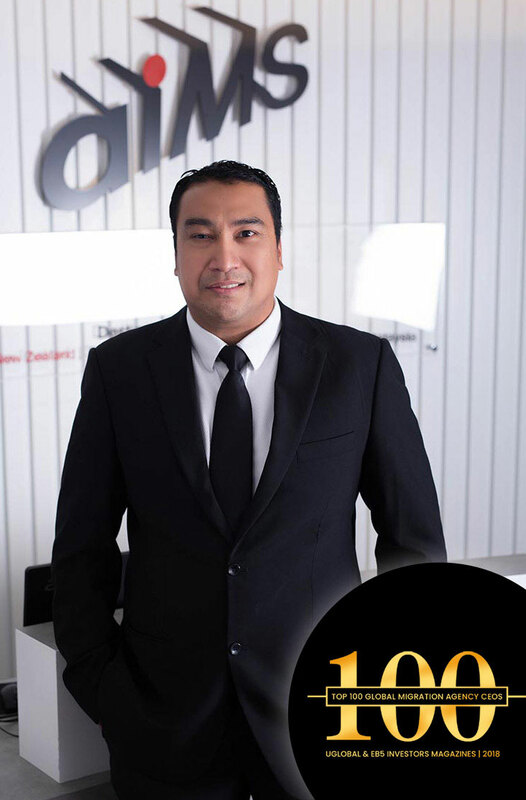 Prior to DBS Bank, he was a Financial Service Manager, and was also a topnotch premier adviser of Prudential Assurance. Pearce is effectively multi-lingual and speaks fluent English, Mandarin, Hokkien and Cantonese. 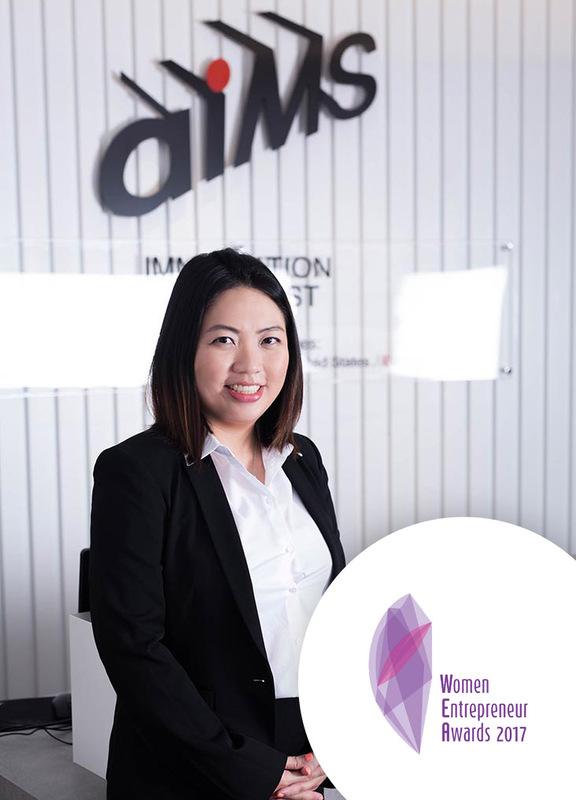 Elsie is the Co-Founder and Managing Director of AIMS Immigration Specialist Singapore and has over 17 years of experience in the immigration industry. Elsie oversees and directs every facet of the business from meeting high net worth clients to ensuring excellence in performance and conduct. As the Managing Director of AIMS Singapore (HQ), she ensures that the office leads by example and serves as the guiding light for all offices in the region. In recognition of her capabilities, Elsie was awarded the prestigious Women Entrepreneur Award 2017 Singapore. Prior to AIMS, Elsie was a Sales Director leading a team of Sales professionals in the immigration industry. Elsie holds a Bachelor of Business Administration (Marketing) from Nanyang Technological University Singapore and speaks fluent English, Cantonese and Mandarin.